CARLYLE is inspired by estate jewelry seen in the finest jewelers of the world. 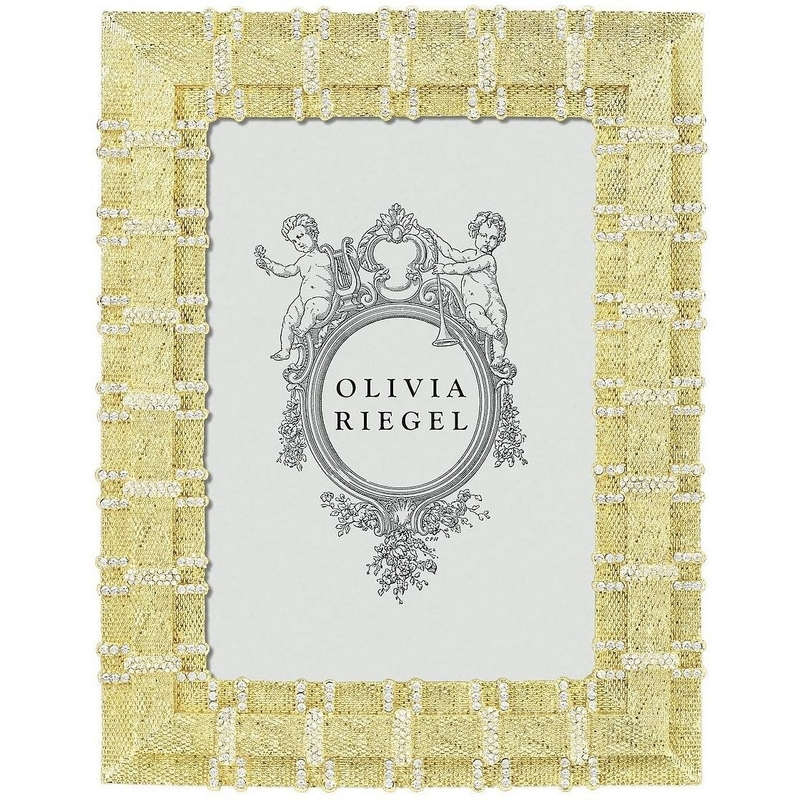 Gold finished cast pewter banding is encrusted with hundreds of hand-set clear Swarovski® crystals. Rich green moiré silk back. Dual easel back. Elegant bevelled glass lens. Signature gift box. 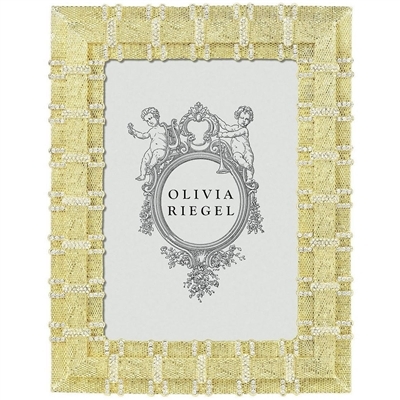 Frame size: 7.25" x 9.25"
Gold finished cast pewter banding encrusted with hundreds of hand-set clear Swarovski® crystals. Green moiré silk back with easel for vertical or horizontal placement.